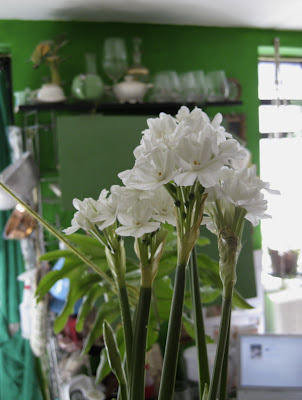 Have your paperwhites bloomed? It’s January, you know! I’ve not had paperwhites in years!! I don’t remember them being ‘smelly’ like that…but StarGazer Lillys stink to high heaven to me..I bought the AB the other night, and saw your banner in it, yea!